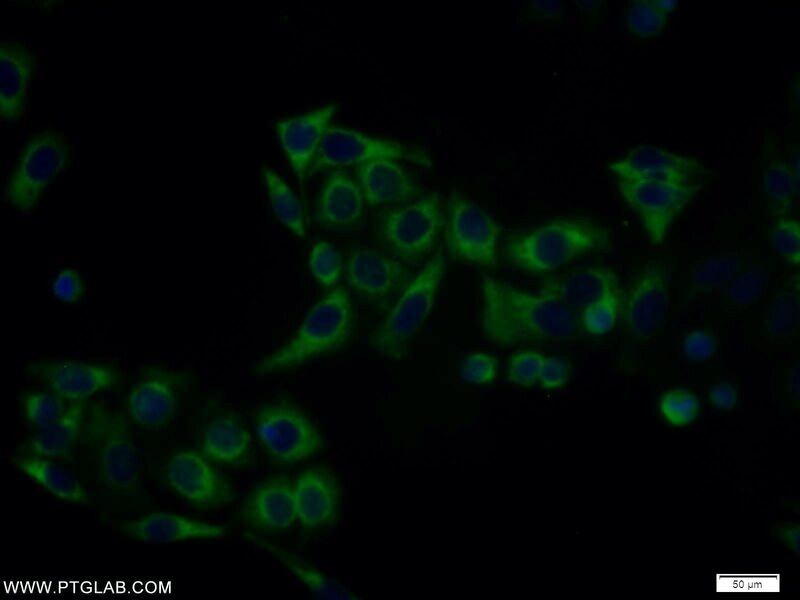 IP Result of anti-MAX (IP:10426-1-AP, 4ug; Detection:10426-1-AP 1:300) with HEK-293 cells lysate 1200ug. Max, a member of MAX family, contains a basic helix-loop-helix (bHLH) domain, is a transcription regulator. MAX can form a sequence-specific DNA-binding protein complex with MYC or MAD which recognizes the core sequence 5'-CAC[GA]TG-3'. The MYC-MAX complex is a transcriptional activator, while the MAD-MAX complex is a repressor. MAX could dimerizated with another bHLH protein to form a heterodimer, such MYC or MAD. 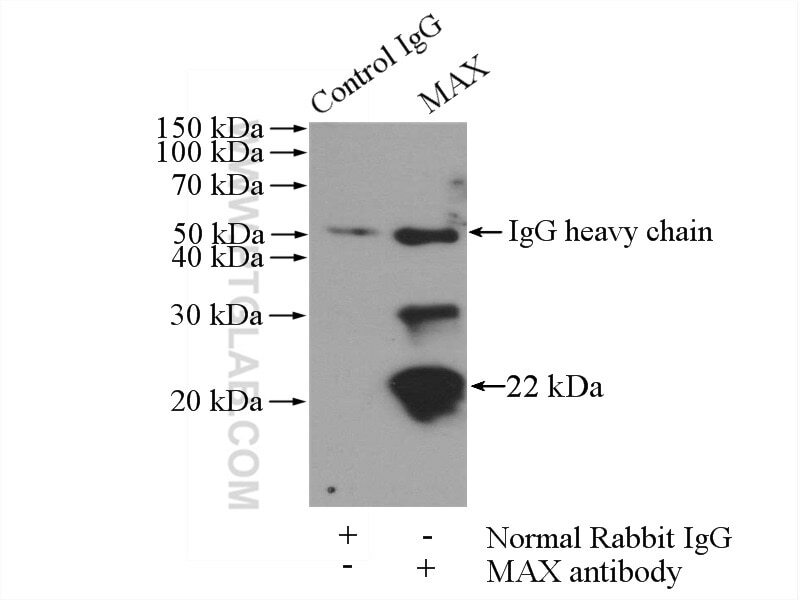 Thus bands recognized by this antibody much larger than predicted.